TimeStack by Thermoworks is the ultimate timer. I've always wanted a timer that had mutliple time settings but feared I would get confused as which was timing what. 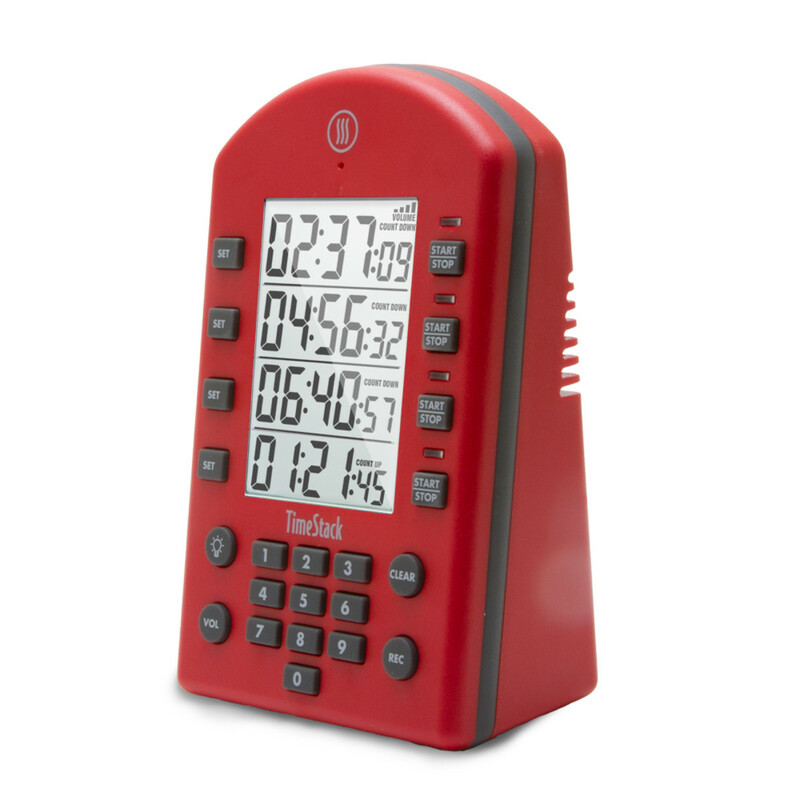 The TimeStack quadruple timer has 4 time settings, each with a different sound, but the best part is that there is a voice recorder so that you can record your own message for each time setting. For example: Check the risen bread!, or Preheat the oven! The TimeStack has many other useful features. There is a back light button and also an adjustable volume button. And it comes in 9 attractive colors. Some great engineering went into the design of this sturdy and superbly functional timer. It will time up to all of 99 hours! You will love it!